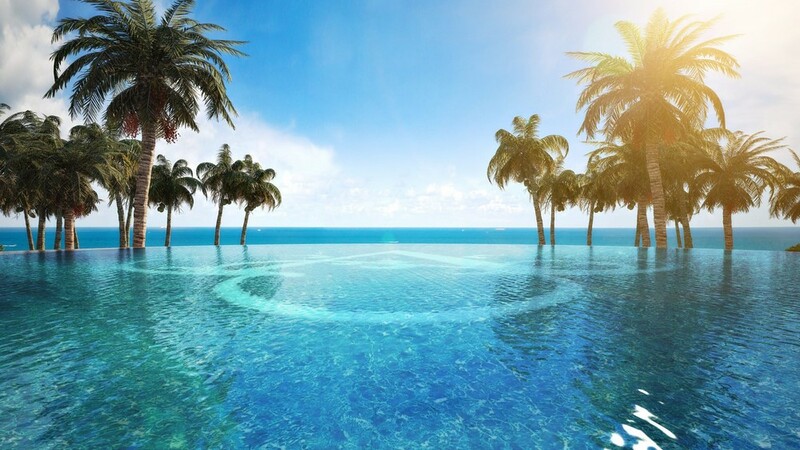 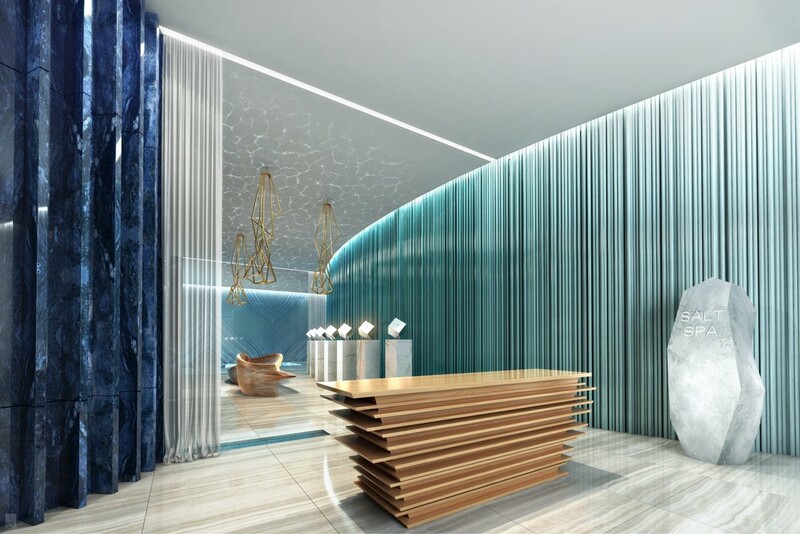 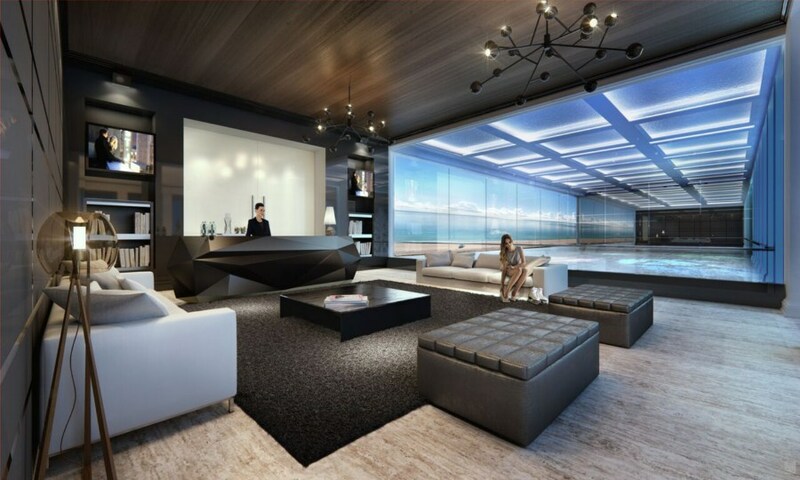 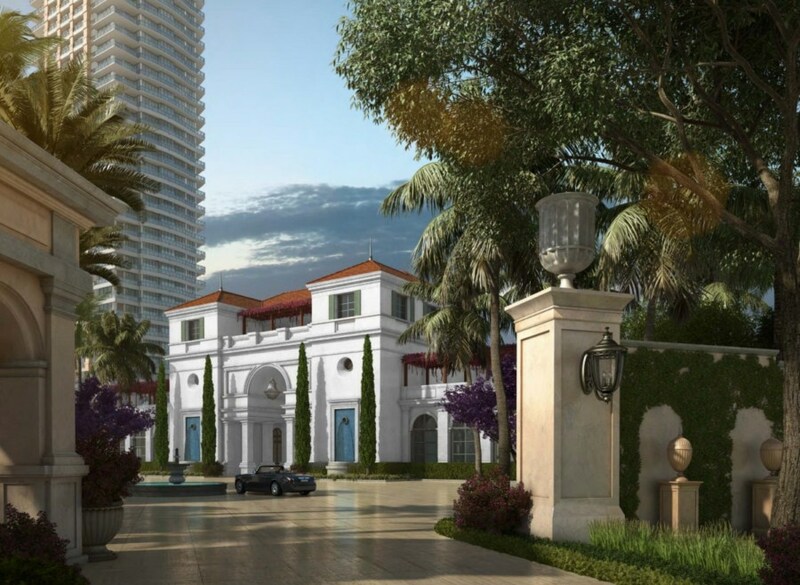 The Estates at Acqualina is a luxury oceanfront condo development, which will be built after the demolition of the Golden Strand Ocean Villa Resort at 17901 Collins Ave in Sunny Isles Beach, right across the street from City Hall. 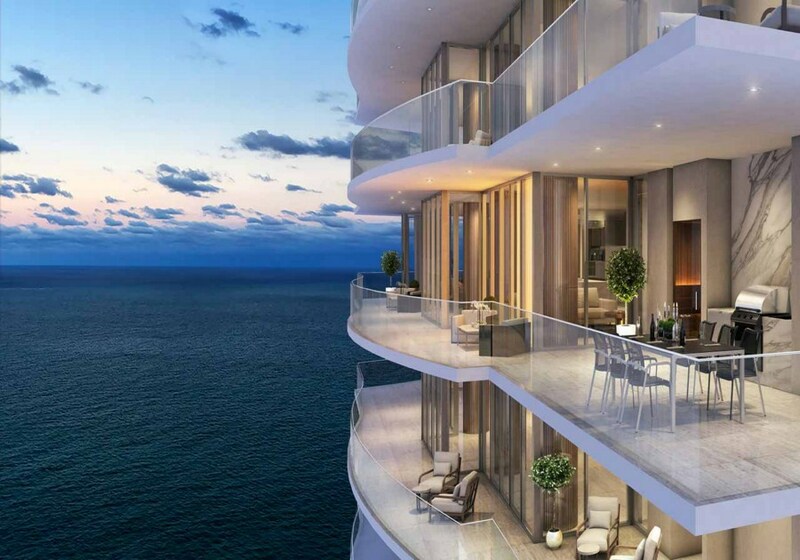 The project includes two 50-story towers, featuring a total of 265 residential units, including amazing penthouse homes. 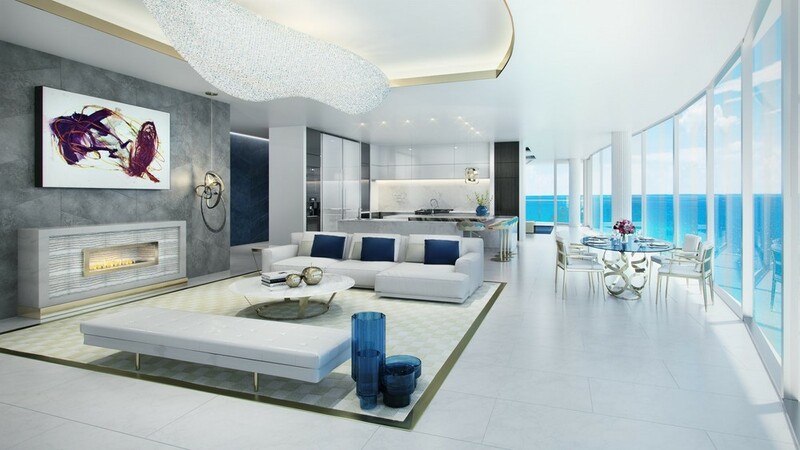 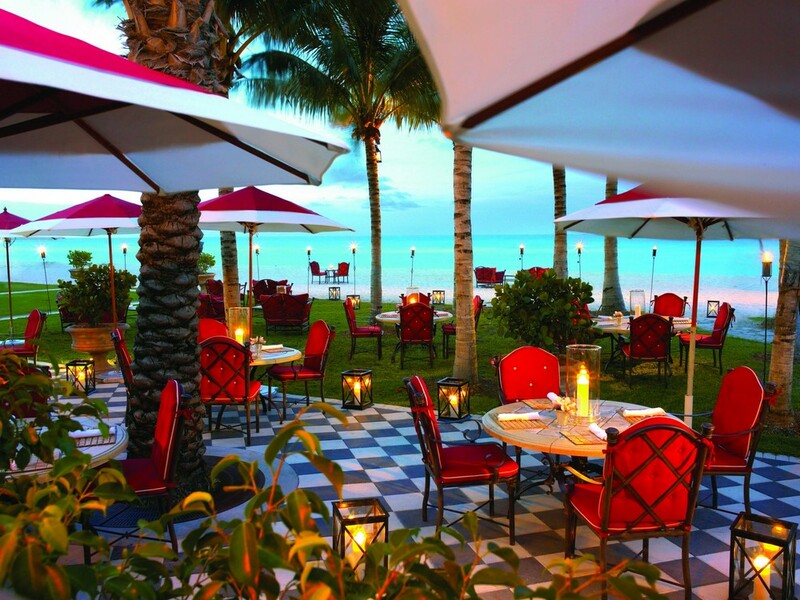 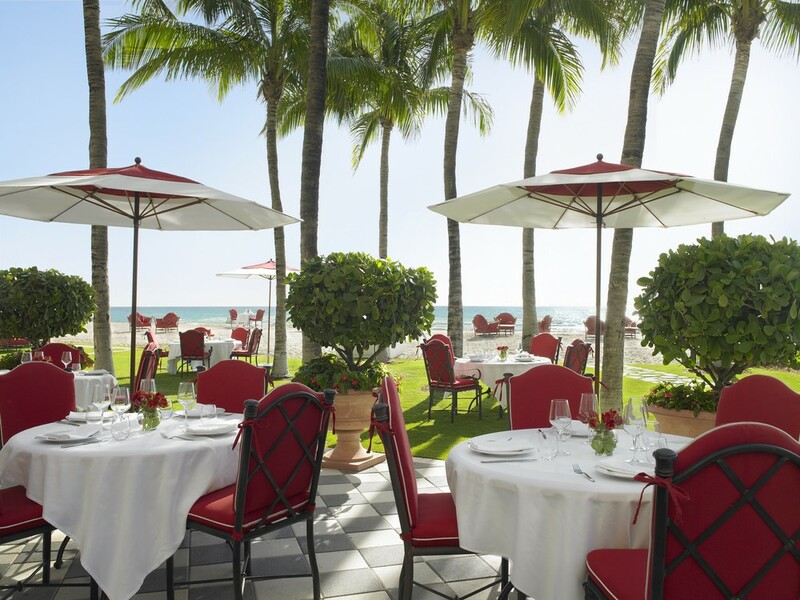 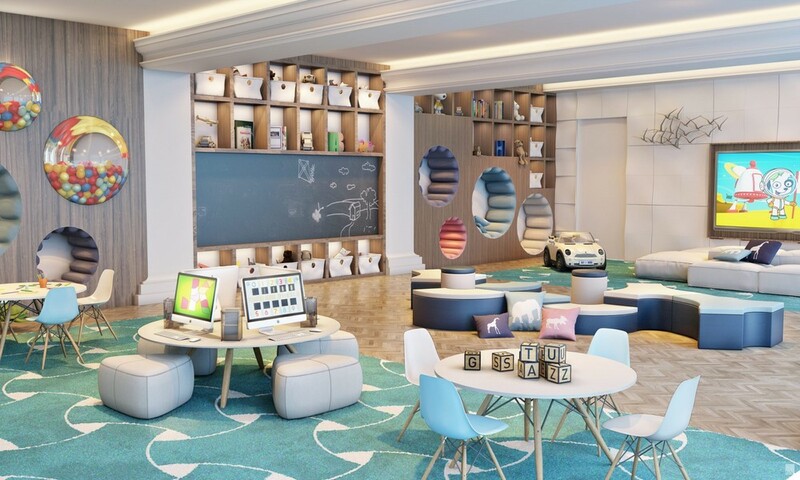 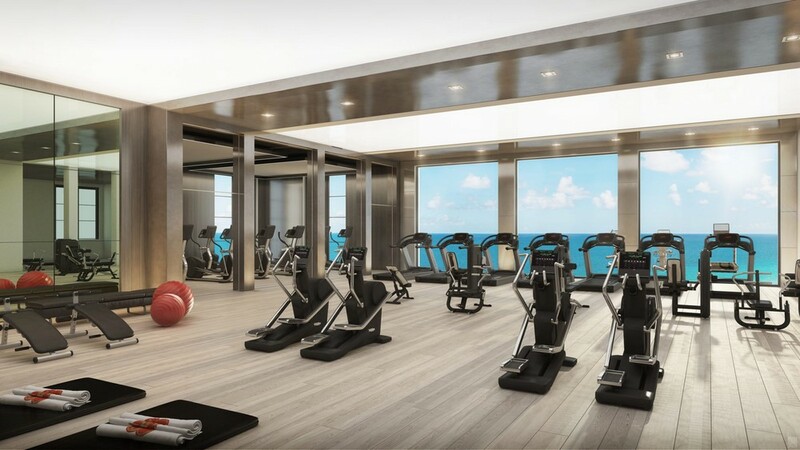 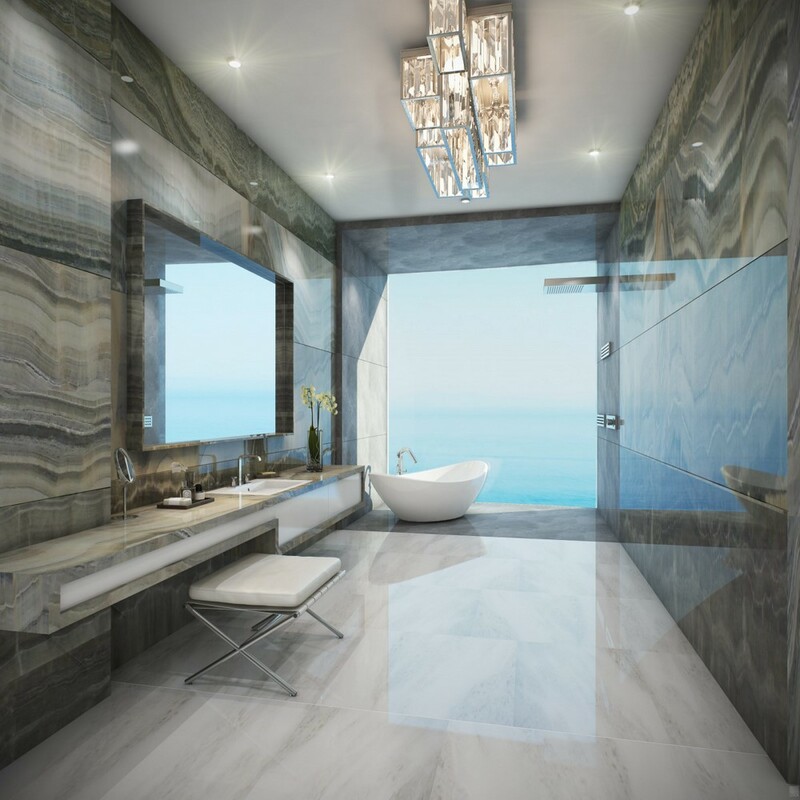 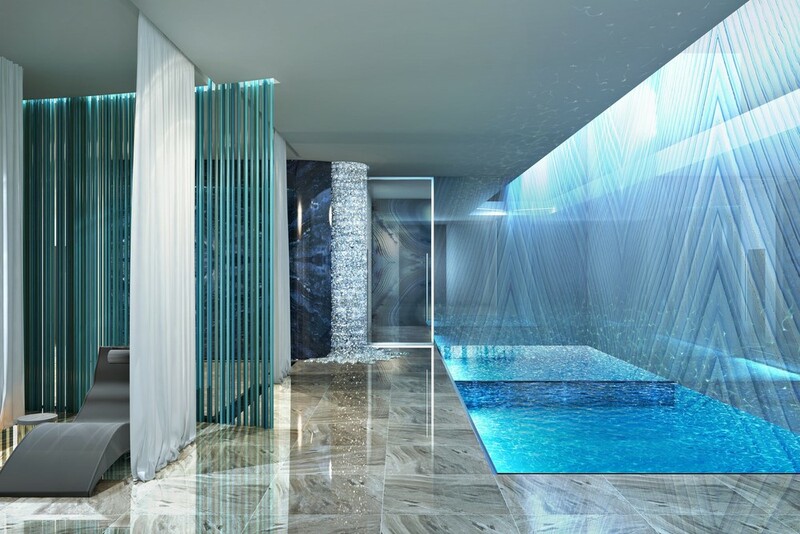 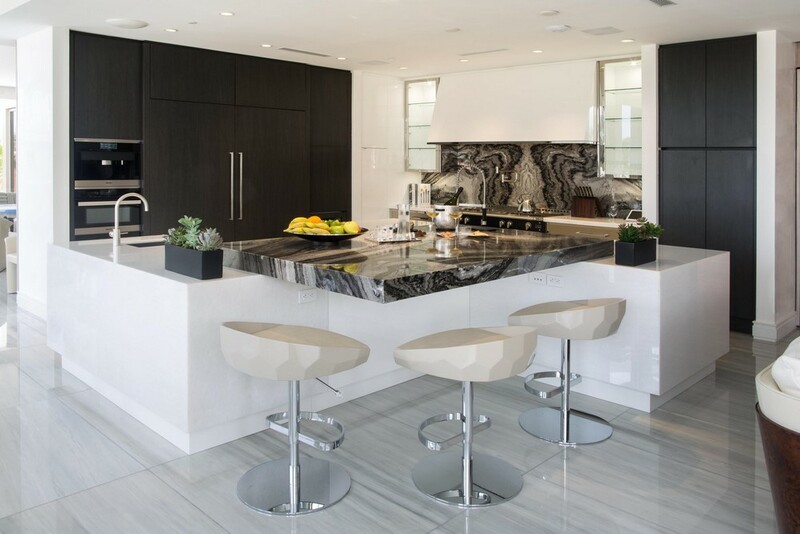 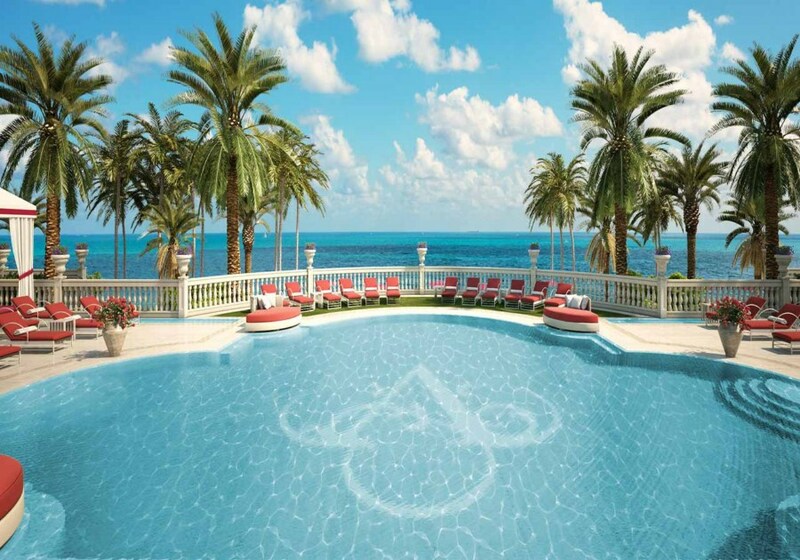 The Estates at Acqualina is the third project by developer Jules Trump in Sunny Isles, including the Acqualina Resort and Spa on the Beach at 17875 Collins Ave, as well as the Mansions at Acqualina residences at 17749 Collins Ave. 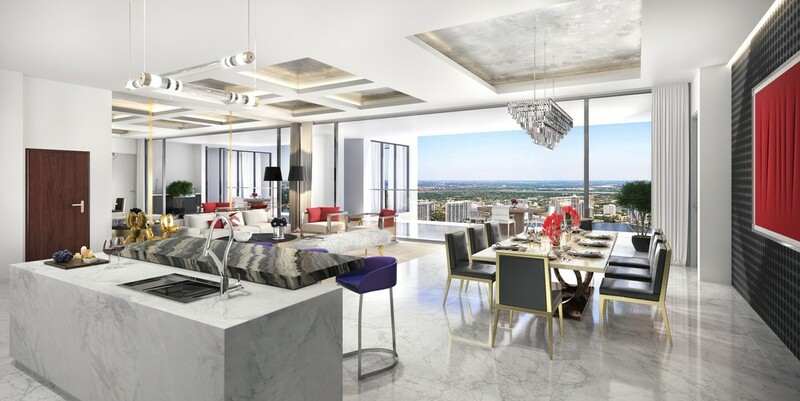 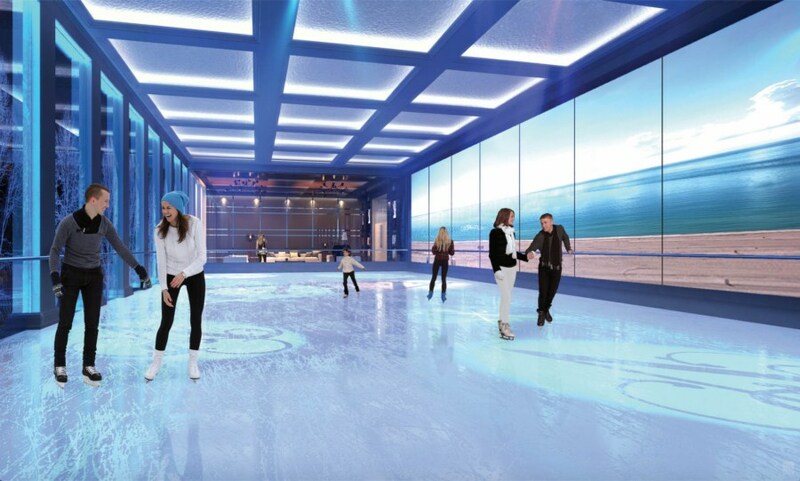 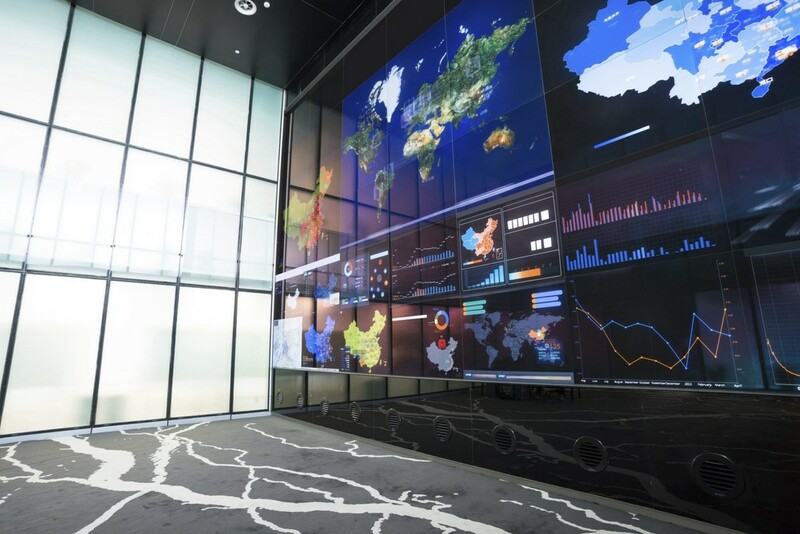 The developer is building up to the maximum floor area ratio permitted on the site (1,089,300 square feet), as well as to the maximum height permitted (643 feet to top of aircraft warning lights, 649 feet above sea level). 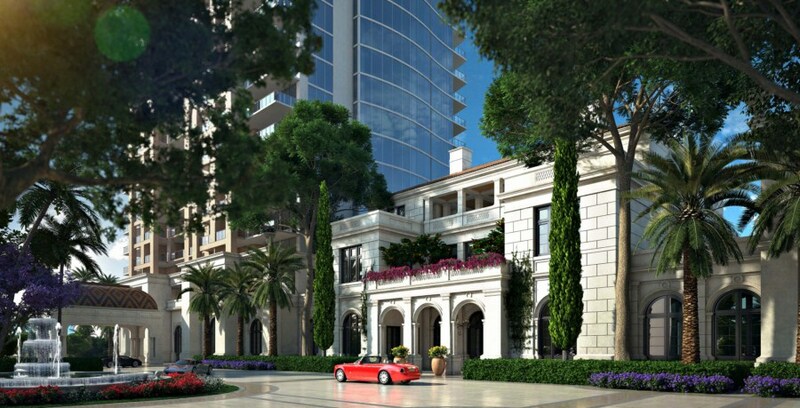 The project of The Estates at Acqualina will feature a three-level villa between the two towers with unprecedented amenities to satisfy the tastes of the most discerning buyers, including fine dining restaurants, beautiful tropical landscaping, lavish pools, unique designer features, community spaces, a state-of-the-art fitness center, an amazing health club with a spa center, lunges, a theater, expansive floor plans, as well as flow-through designs. 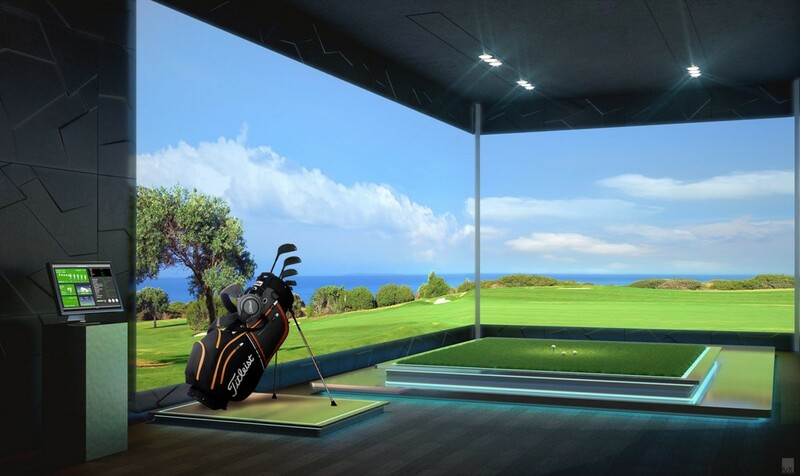 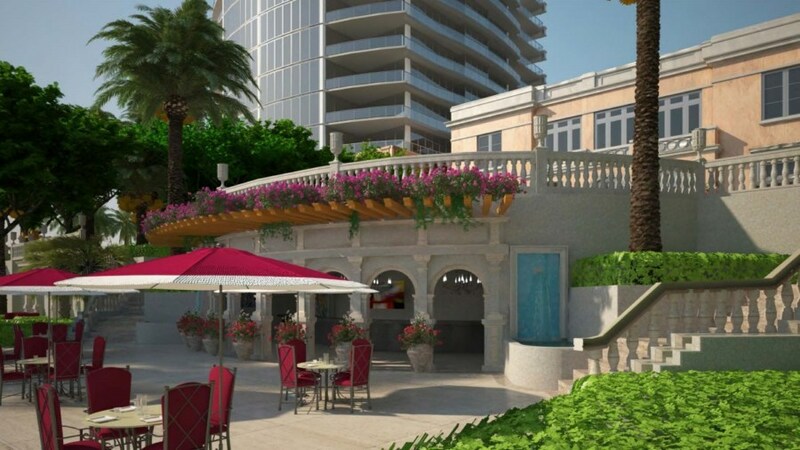 The project also includes the construction of an overpass pedestrian bridge between the The Estates at Acqualina to the Acqualina resort. 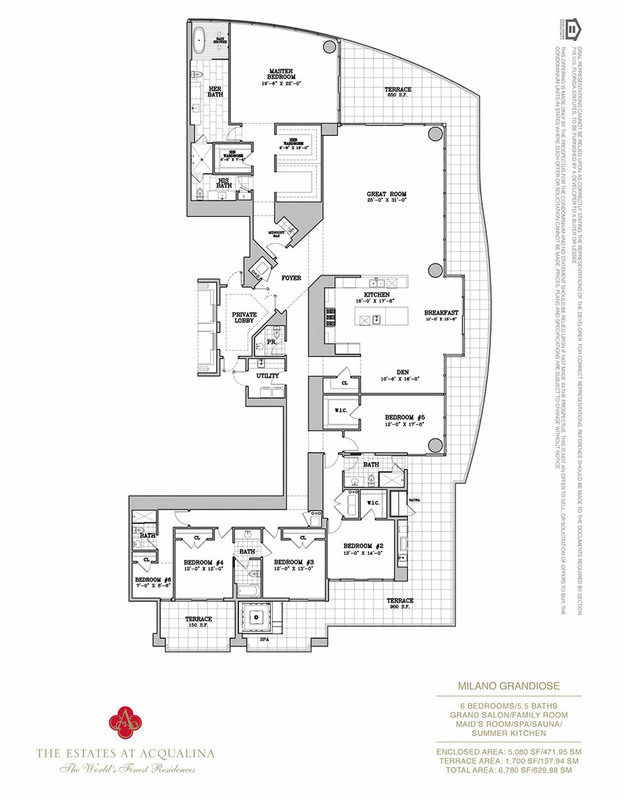 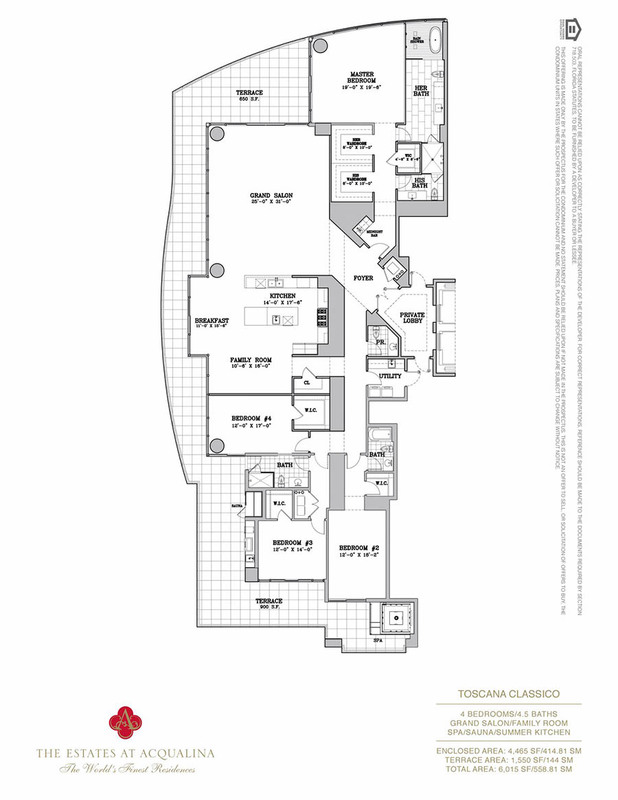 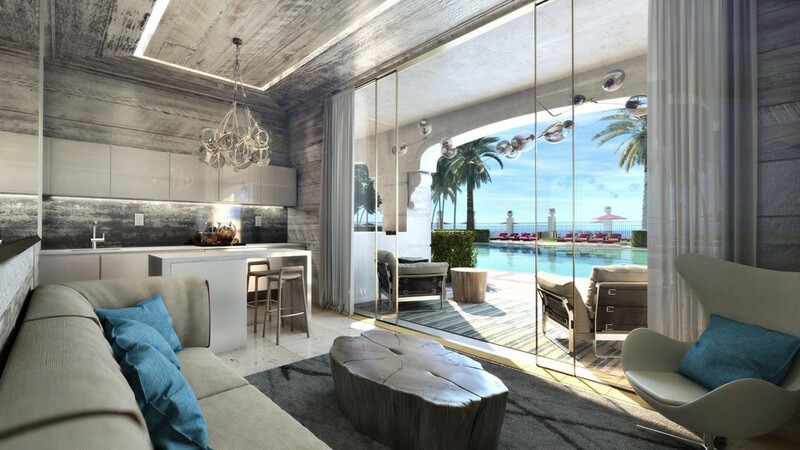 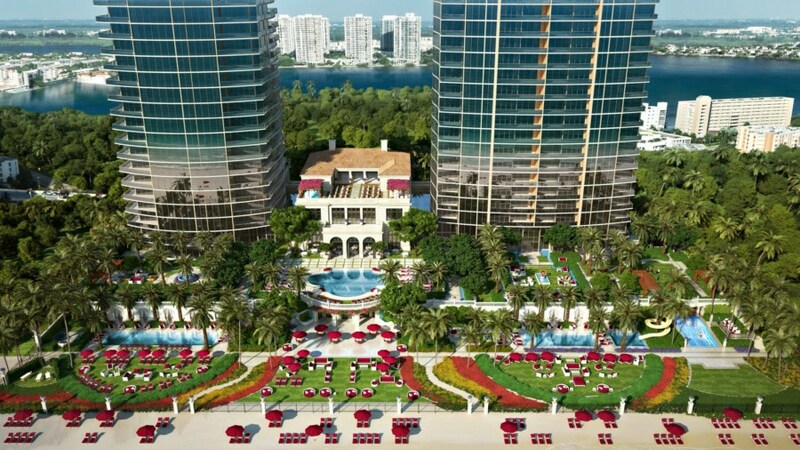 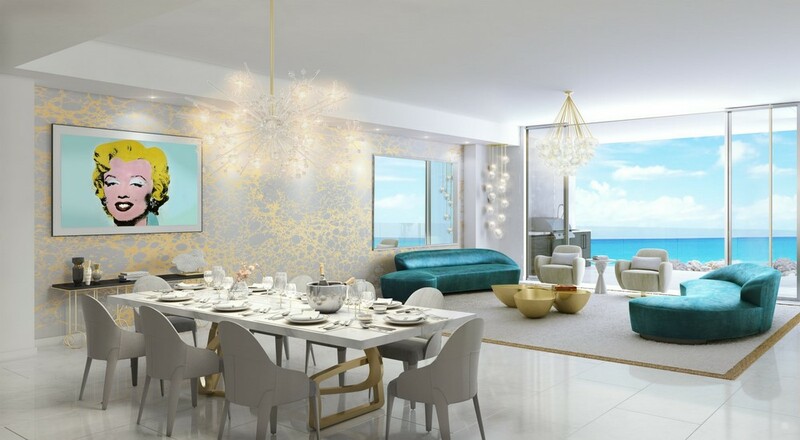 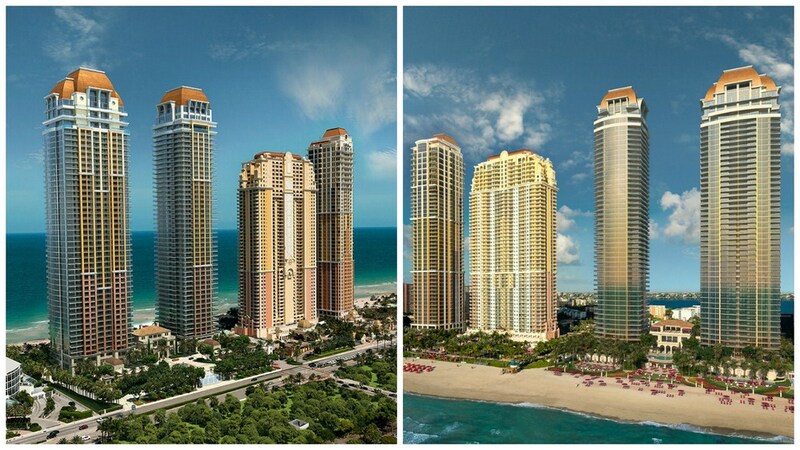 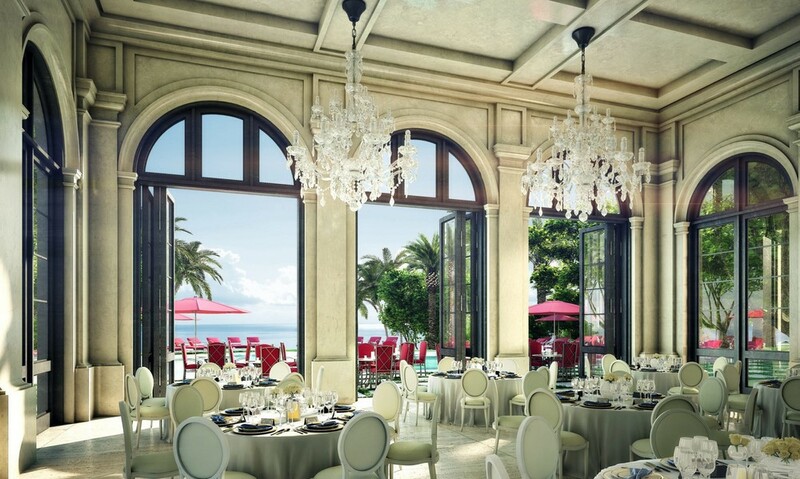 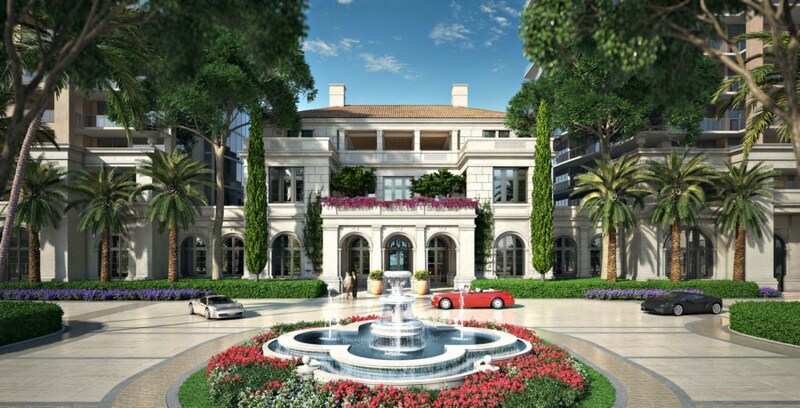 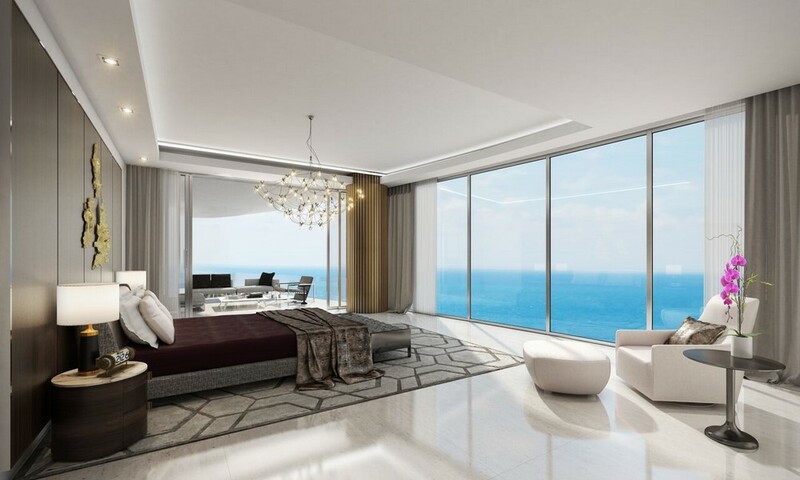 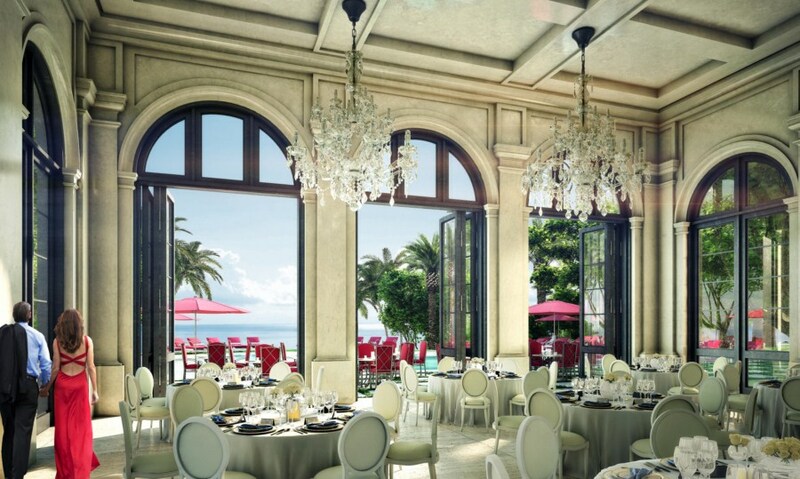 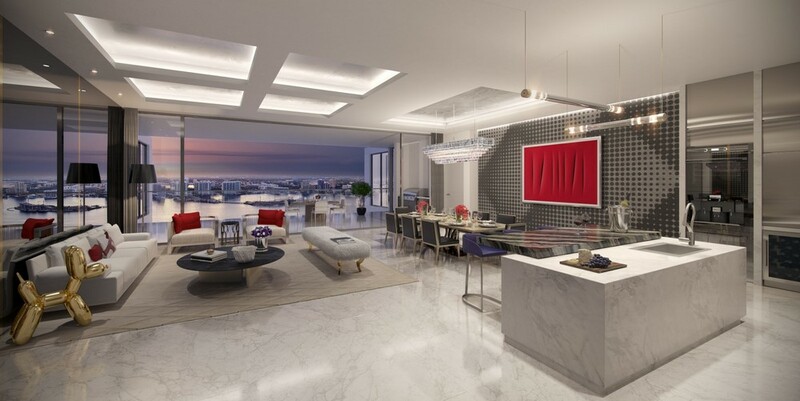 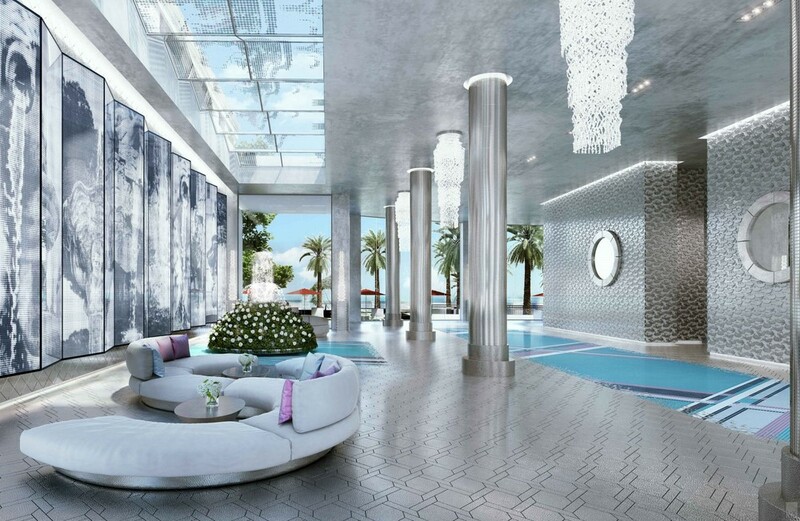 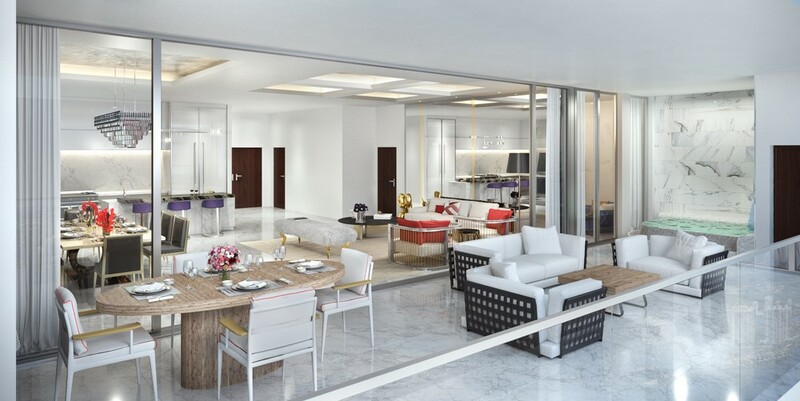 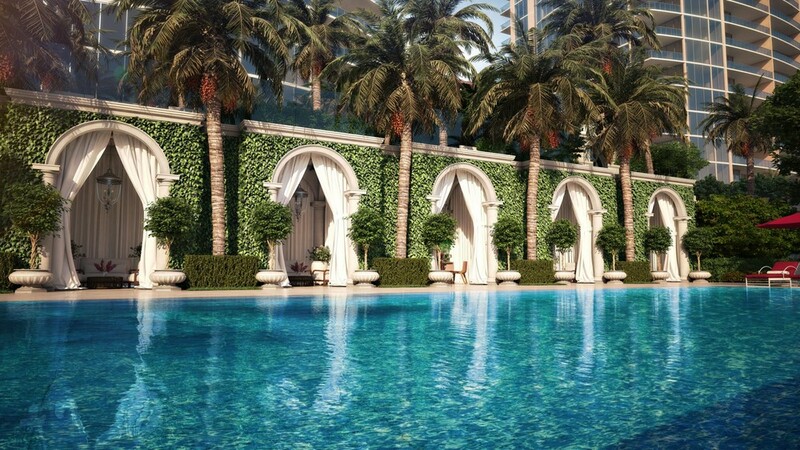 Pallazo Di Acqualina will have only two residential units per floor, at a price of $8 million each. 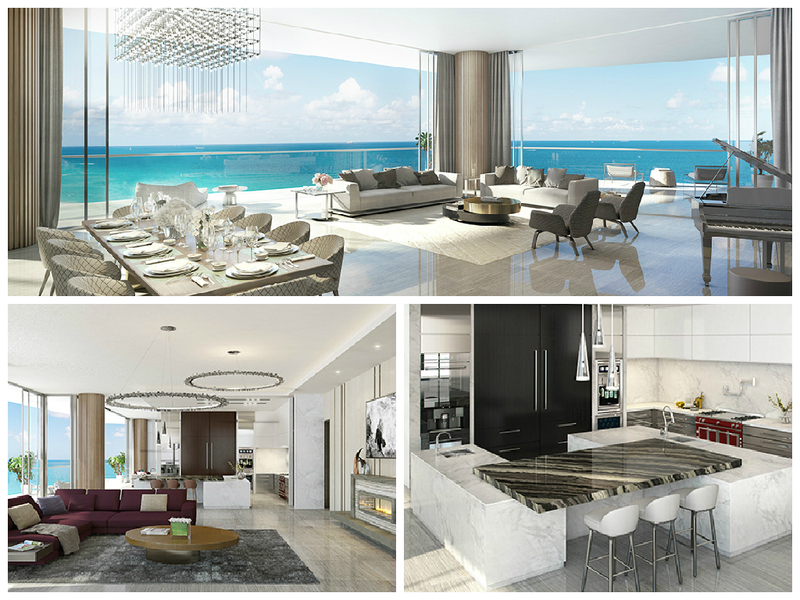 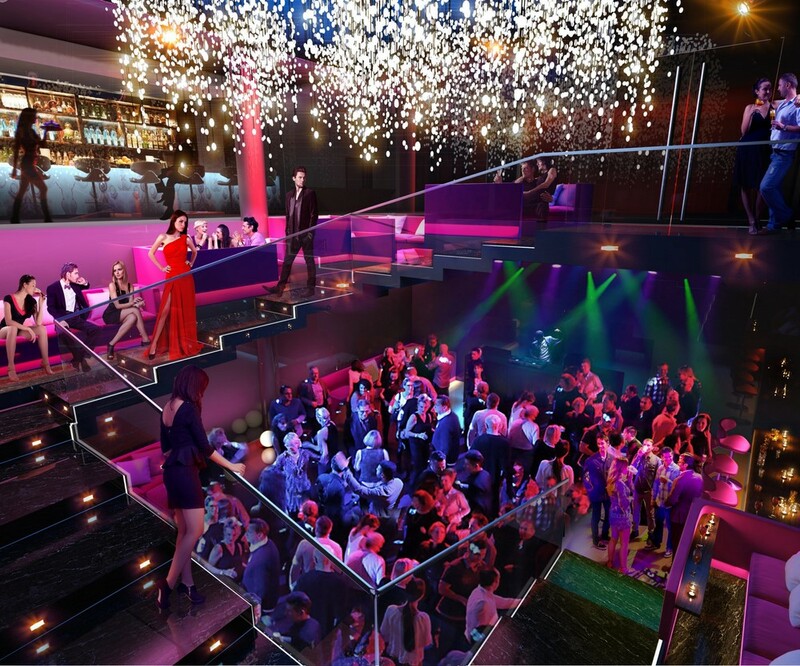 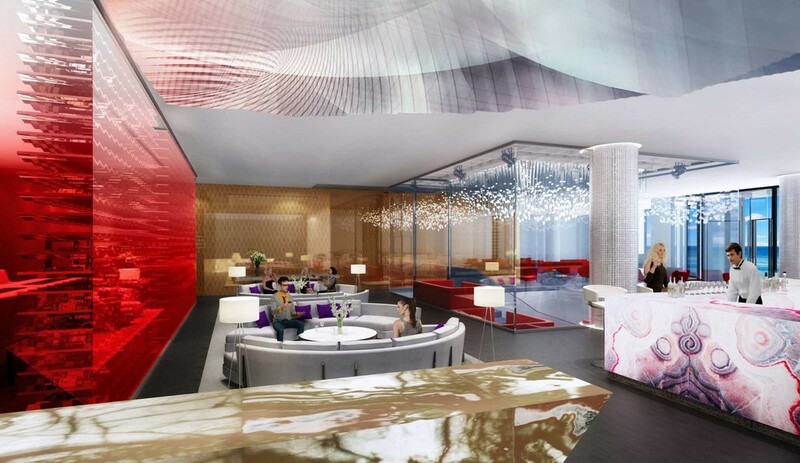 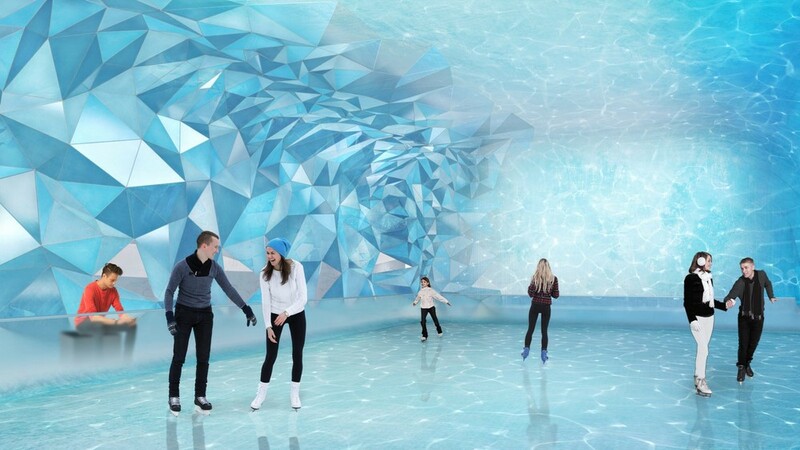 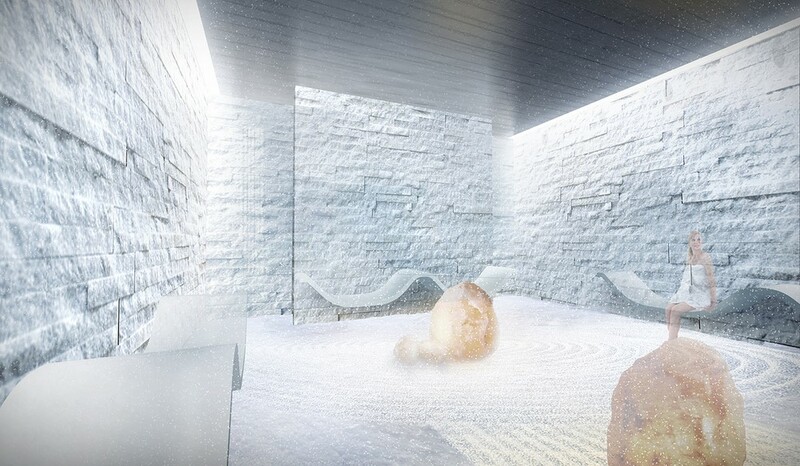 Each residence will have the feel of a boutique living space. 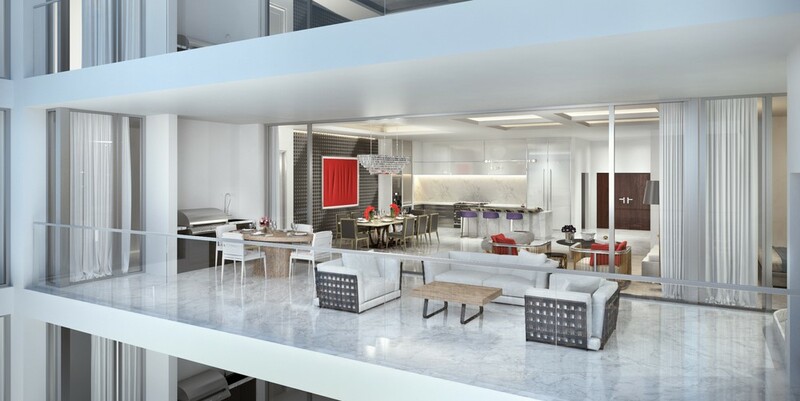 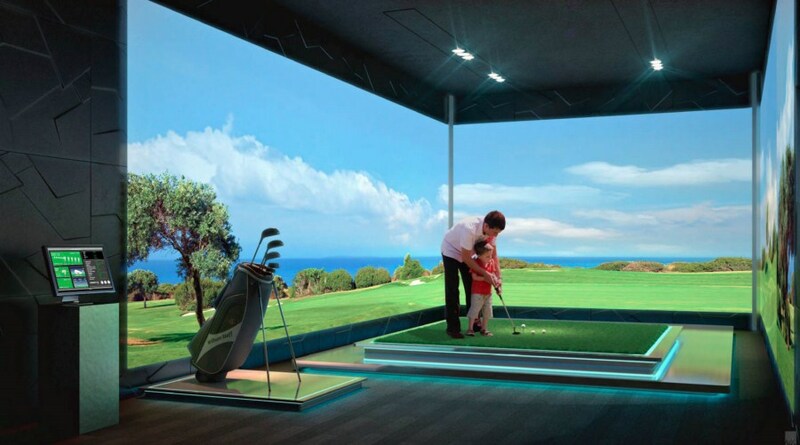 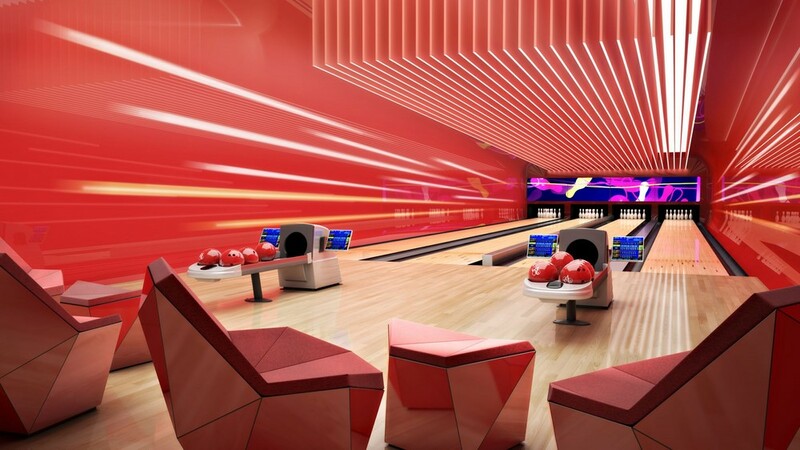 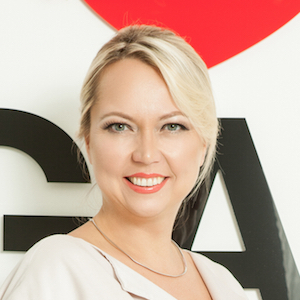 Units will range in size from 4,300 to 5,000 square feet each.